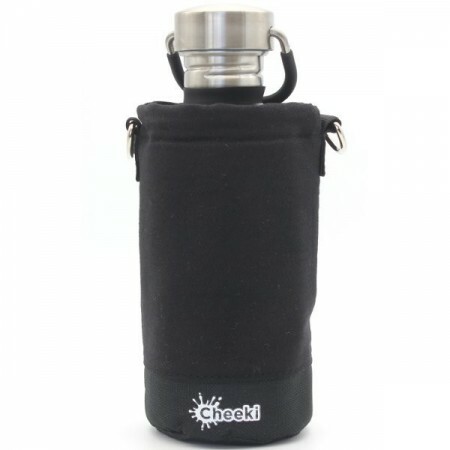 A pouch to insulate hot and cold drinks in your Cheeki water bottle. 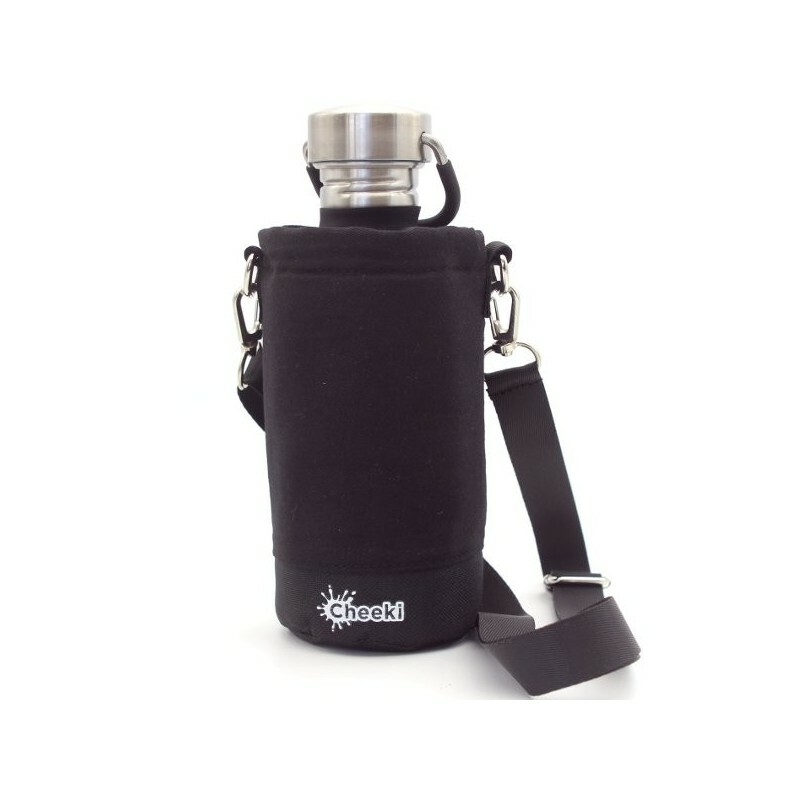 Also makes carrying easier with a removable strap and toggle closure. One small pouch. Black colour. Cotton/ Polyester material. Small size. 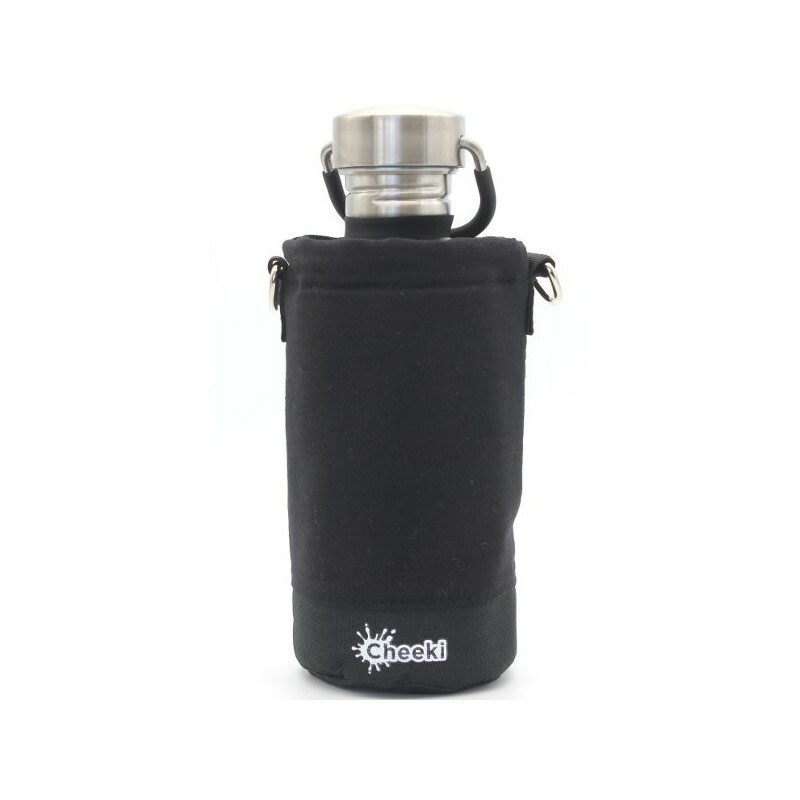 Fits all Cheeki 400ml and 500ml bottles.